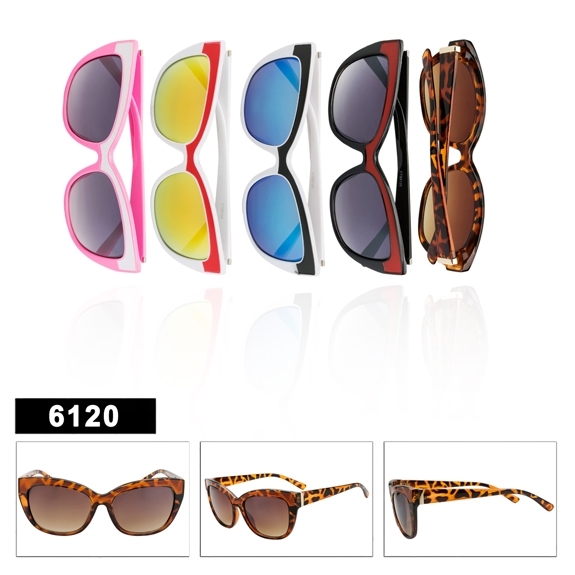 Retro Cat Eye Sunglasses | 6120 | Mirror Lens! Stylish new cat-eye sunglasses with a retro feel, only $27 a dozen! Check out all the great looking new fashion styles in stock & ready to ship today!